As a member of The Survival Podcast's Members Support Brigade you will gain access to content and benefits exclusive to our supporting members. Joining the brigade is a low cost way to support the work we do to help our listeners live a better life if times get tough or even if they don't. The primary function of the Support Brigade is to give listeners a way to support the show and keep it growing and improving. However, from day one we have always refused any sort of “donation” believing that members that support our show with a contribution of 20 cents an episode deserved something more then just feeling good about it. So we worked hard to create exclusive content and continue to do so, we reached out to sponsors, authors and other members and have put together a group of benefits that currently has a minimum retail value of over $125.00 and all of it is available instantly when you become a member. So What Benefits Are Available to Brigade Members? North American Medicinal Plant Guide — Retail Value $9.95 final price not set yet. This is a Survival Podcast Original Publication that is Updated Each Time a New Episode in a Planned 5 Part Series on Medicinal Plants. Building a Three Station Composting System — Retail Price $9.95 This is a 30 minute video shot in high quality video that non members can purchase. As a member you get it free. Every Episode of The Survival Podcast in ZipFiles — The most recent 50 shows are all in iTunes. For older shows you can individually download them or join the Brigade and get them all in convenient zip files. A collection of 18 Exclusive Members Only Videos — This group of videos is only available to our members. They are not available any other way, at any price. Topics include making biltong, rifle shooting drills, building a strawberry pot, fishing and more. Safe Castle Royal - Provides their Discount Club Lifetime Membership free to MSB members. It offers very big discounts on everything they sell and retails for 29 dollars to non members. Again this is a LIFETIME membership. Western Botanicals - Offers a free "Preferred Membership" which normally costs 50 dollars a year and provides you a 25% discount on all purchases from Western Botanicals. MURS-Radio.com - Offers a 5% discount on all purchases of their MURS and other communications gear. Survival.com - Ron Hood offers all MSB members 10% off of all purchases of his DVD collection at Survival.com. Save on a huge collection of DVD's from the Woodsmaster himself. Terra Prints Inc. - Provides all MSB Members 15% off on ALL purchases of their satellite image prints. These prints provide an extensive topographical knowledge of your area and are beautiful at the same time. From James Talmage Stevens - James is the best selling author who brought us “Making the Best of Basics” which has sold over 800,000 copies and has just gone into its' 9 th printing. Basic Sprouting Guide — Retail Value $6.95 - 17 Pages on how to sprout seeds, using them, finding equipment and supplies and more. Game Meats Fish and Fowl — Retail Value $6.95 - - 24 Pages on the handling, cooking and storage of wild game and fowl meats and how to make them part of your preps. Building the EPAK Kit (Emergency Preparedness Action Kit) — Retail Value $12.95 - 20 Pages on how to assess your risk and build a fully functional and customized 72 Hour Evac kit for your family. Getting Your Household in Order — Retail Value $16.95 - Exactly how to take your household from a bunch of grasshoppers to newly converted ants. From Kevin Cuthbert — Kevin is the owner of Synaptoman and the author of several books in the “Synaptoman Way” series. He has made two of his eBooks available free to Support Brigade members. Building a Traditional Clay Oven - The Synaptoman Way - Retail Value $18.00 — This book provides step by step instructions, photos and techniques to help you build a beautiful and functional clay oven. Well worth the 18 dollar retail price but yours free as an MSB Member. From Val Riazanov — Val Riazanov is a master of the Russian Art Known as Systema, from 1979 on trained in Judo and Sambo as a member of the Russian Olympic squad for 6 years. Secrets of Ballistic Striking - Retail Value $11.95 - This eBook will show you everything you need to know to start learning to deliver explosively powerful punches that will disable any enemy. Enlightening you to the hidden strength in your arms by giving you four basic exercises to help unleash devastating blows. From Solutions from Science - - Solutions From Science is an official sponsor of The Survival Podcast and offers great products like "Make Herbal Medicines" and "The Crisis Cooker". Squanto's Garden - reveals the little-known secrets behind the survival of the Pilgrims and the native Americans whose help ultimately led to the first Thanksgiving Day celebration. This is a fascinating and educational read that will help you take your food production to a new level. The daily Survival Podcast and our Members Forum are 100% free to all and always will be. We work hard to provide top notch content on economics, modern survivalism, practical preparations, natural disasters, food storage and many other issues important to those seeking to lead a more independent lifestyle. Your contribution of 5 dollars a month works out to about a quarter an episode, for on average 50 minutes of strait shooting, practical information with two very brief commercials followed but completely uninterrupted content. There are two ways to sign up below, one by using your credit card via PayPal and the other by check or money order. 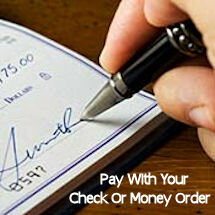 While we prefer Paypal/Credit/Debit-Cards we have set up a way for those that wish to pay by cash or check. 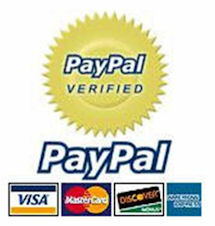 To sign up with Paypal just click the button below, to get an order form and learn more about our cash/check/money order option, click that button below.